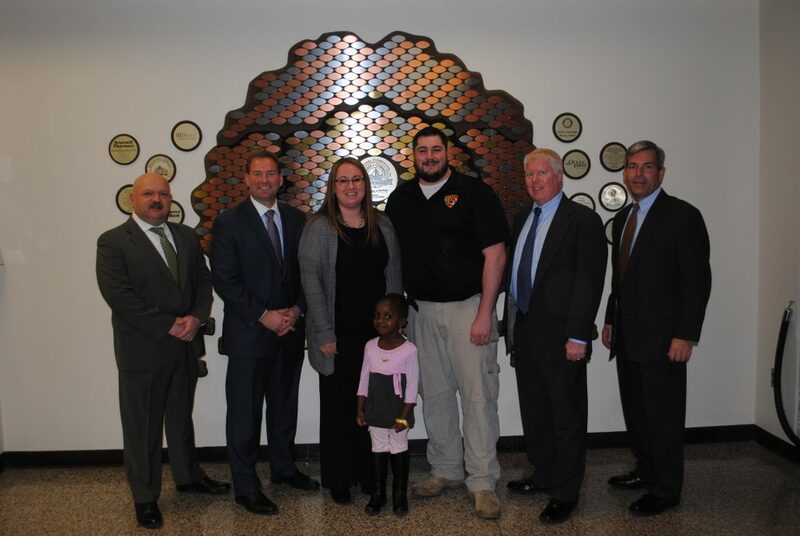 Freehold: It’s not often that Sheriff Shaun Golden’s Public Safety Telecommunicators get to meet the people on the other end of the numerous emergency calls they handle on a daily basis. 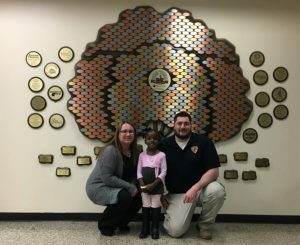 A three year old caller changed that after she touched the hearts of members of the Monmouth County Sheriff’s Office and Brick Township Police Department, when she dialed the Monmouth County 9-1-1 Communications Center to say “my mommy is sick”. PST. Richard Incremona, who has worked at the Monmouth County Sheriff’s Office Communications Division for four and a half years, took the call in early February. After he realized a toddler was on the other end, PST Incremona changed tactics by speaking to the three year old in a way she could understand. He assured her he was going to send friends to help and continued to ask questions to determine the condition of her mother. 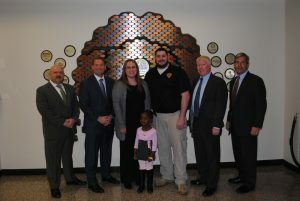 The information was immediately dispatched to Brick Township’s 9-1-1 Operator Kimberly Greenspan, and help was soon on the way from the Brick Township Police Department. 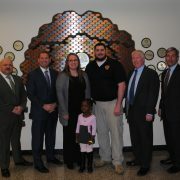 On Feb. 21, members from both law enforcement agencies came together to meet the three year old and commend her for her great efforts. Thanks to this little girl, the knowledge of how to dial 9-1-1 and the quick thinking of the PSTS, all is well. Please contact Public Information Officer Cynthia Scott at cscott@mcsonj.org or 732-431-6400 for more information.